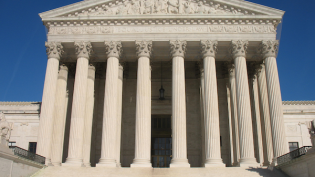 June 5, 2014, 10:49 a.m.
By Joseph Lichterman @ylichterman June 5, 2014, 10:49 a.m.
For many, SCOTUSblog is their go-to-source for coverage of the Supreme Court of the United States (hence the acronym). Just look how SCOTUSblog’s traffic spiked when the court ruled to uphold the Affordable Care Act two years ago. And though SCOTUSblog provides terrific coverage, it has never actually been credentialed by the court — and it recently has lost its credentials to cover the U.S. Senate. With the proliferation of less traditional, digital-first outlets, SCOTUSblog is far from the only outlet that has seen its journalists denied press credentials. More than one in five journalists surveyed reported being denied credentials by at least one agency since January 2008, according to a report on a new report being released today. There were 1,339 total respondents, and their answers produced a number of interesting findings. Freelance journalists were more than twice as likely to be denied a credential than a journalist who is a full-time employee of a news organization. Photographers were nearly twice as likely to be denied credentials. Respondents who identified as activists were also more than twice as likely to be rejected when applying for credentials. To learn more about the survey and discuss some of the findings I sat down with Jeff Hermes, the paper’s lead author and director of the Digital Media Law Project. Here’s a lightly edited transcript of our conversation. Joseph Lichterman: So what did you find the most surprising or what was the biggest takeaway from the report? Jeffrey Hermes: Well, as a lawyer, I’m coming at this question from the perspective of what are the laws and regulations in place. It became clear as we started to look at this question that it was largely an unregulated space. There were far more agencies, both governmental and private, in the United States that issue credentials of one form or another than there are laws governing their activities. So in many cases, it’s left up to the individual discretion of particular organizations or even particular people as to whether to issue a credential and who gets a credential. And even when there are regulations in place, they’re often inconsistent with one another and are inconsistently interpreted. We were trying to figure out how do we address that question — how do we figure out what this landscape looks like — so we tried to do this survey of journalists and their actual experiences in the field. We saw a real distinction on a nationwide basis between the experiences of employed journalists and journalists who are working as freelancers. The concept that, if you were independently producing material that you were supplying, even to a major media organization, on a freelance basis, that could significantly affect your ability to gain access to important news-gathering events. And there are hints of that in the laws and regulations that do exist. We do see, in certain cases, preferences for employees or definitions of journalism that rely on whether someone is employed by a particular organization. But to see that reflected not only in specific regulations, but also in a nationwide pattern was striking. But when we asked about use of technology, whether people consider themselves bloggers or social media users and then whether those same people had received credentials, there wasn’t as strong a relationship. But there did appear to be some relationship between acting as an unpaid independent journalist regardless of how you publish — as well as being an activist, somebody who is getting involved and reporting on events because of their concern about certain issues, political issues, et cetera. Part of what this was suggesting — which was a little bit of a surprise — was that it’s less about the technology, less about these code words that come up when we discuss these topics, and more about what are they actually doing. Who are these people? Are they independent of media organizations? Are they unpaid? Do they have some motive that might potentially be contrary to the interests of the credentialing organization? Lichterman: Why do you think freelancers are more likely to get denied? We’re seeing more news organizations hire more freelancers, so this could be an issue. Hermes: There could be a couple of different reasons. First, asking an applicant for a credential whether they’re employed by a media organization is a very bright line test. It’s something that can be easily implemented and practiced. Who is your employer? And if someone says “I work freelance,” it’s easy to dismiss their application. There’s another possibility, which is that freelancers are to a certain degree less controllable than employees at media organizations. If you look at this from the cynical position of a government organization that’s trying to control spin or a private organization that’s trying to control its public image, an employee of a media organization is going to be subject to control from within that organization by editors — by senior staff who want to maintain a relationship with the government credentialing agency or with the private organization. A freelancer who is developing a story on their own is going to be less susceptible to the soft pressure that can be put on a journalist in those situations. So that’s another possibility. I should say that the survey doesn’t really answer that question — but it does raise these questions. Lichterman: Right — that’s one of the things I found useful about the survey, that it gives us some data to discuss these questions. You also mentioned the changing perception of digital media. It reminds me of how not long after Ben Smith joined BuzzFeed, his Twitter profile picture was an image macro of him with a microphone at some sort of an event, saying, “Mr. President, Ben from BuzzFeed, what are your Top 10 Honey Badger mashups?” Sort of implying that some people didn’t take BuzzFeed seriously, even though many more people do now. Do you think, at least in terms of credentialing, agencies are starting to take these digitally native outlets more seriously? Hermes: I think it’s starting to happen, although there remains the question about implementation of credentialing standards. How do you make decisions? If you recognize that there’s a broader group of news gatherers to whom it is wise to provide access, there’s still the question of how do you figure out who those people are. How do you ask questions that get at, “Is this somebody who is going to be effectively conveying information to the public? Is this somebody who we think is going to be useful to have in the room when we give a press conference?” It’s those types of things. You can do that by asking about their past history. You can do that by asking to see things they’ve written. You sort of get this gestalt approach about who is this person. That does take time and it depends on how much time and effort the credentialing organization is willing to put in that process. But it is certainly the case, and I think this is being recognized universally, that the mere divide between online and offline, independent and institutional journalisms is becoming less relevant. We’re seeing more and more professional journalists moving to digital native startups. The Pew State of the Media report highlighted that fact. The old concept of, “Well, you’re publishing online, then you’re an amateur” and “If you’re publishing in The New York Times, then you’re a professional” — that divide just doesn’t work any more. Lichterman: Another point in the report that I found fascinating was that photographers were more likely to be denied credentials, and that also they were more likely to experience interference in going about their news gathering. I think we’ve seen some of this recently at the White House, and people raising concerns about that. Hermes: I want to clarify that we found a relationship between being a photographer and encountering interference in the field. This report doesn’t go so far as to say that there’s a causal relationship there, so the statisticians on my team would want me to be clear. But It’s an interesting question. As a logical matter, it’s easy to see that photographers require a different kind of access than a written journalist when covering particular events. They need to have direct lines of sight. They need to be close. They need to be, to a certain extent, more intrusive than other journalists. That can raise questions and concerns with a credentialing organization. Is this person going to be interfering with the activities of law enforcement behind police lines? Are they going to be disrupting a conference if we allow them to stick a camera in particular places? In courtroom settings, we see this fairly frequently, where there are pool cameras used because a judge doesn’t want to allow a whole range of photographers into a room. So one person is let in but other people are denied. So there are some practical issues that come up. But there is another potential issue, and this is something we’ve seen reflected in various interactions between police and photographers recently. The question of: If you allow a photographer in, what are they going to see and preserve that you didn’t expect to happen, and which you can’t control after the fact? For example, when we’ve seen run-ins between police and people who are filming them arresting suspects in public, and there’ve been attempts to either seize cameras or chase away photographers. That kind of sensitivity could very easily be echoing through these other credentialing situations. The idea being that, you know, it’s okay to let a written journalist into the room, they can report what they want and we can say what we want to say about what happened — but if there’s a picture that tells a different story. Lichterman: A picture really is worth a thousand words then, I guess. Thirty-nine percent of unpaid independent journalists were denied credentials. That’s significantly higher than the rest of the survey respondents. Why do you think that is? One of the points raised in the report that I found interesting was that they might not even be applying for credentials. Hermes: Well, we did find a significant relationship between being in this unpaid independent category and not applying for credentials. It’s difficult to know whether this is because they’re internalizing the fuzzy-slipper idea and are thinking that “because of what I’m doing, I’m not entitled to greater access.” That could also be because it’s not necessarily obvious how to apply for a credential. If you haven’t been trained as a journalist, if you’re not in the journalism community, it takes a certain level of, for lack of a better word, gumption to go into a government agency or private organization and say, “Hey, I want a press pass. How do I go about doing that?” So there’s a barrier to entry there from lack of experience that’s likely related to this. In terms of why, when these people apply, it looks like there’s a relationship between falling into this category and not getting a press pass, again I think this is probably down to the difficulty many credentialing organizations have in figuring out how to deal with these people. It’s easier to say no in circumstances when no law or regulation is there telling you you have to do something else. Now, of course, where there is a law or regulation in place, that could be driving the decisions as well. It’s far from uncommon to have a statutory credentialing standard or a regulatory credentialing standard say something like “credentials shall be issued to employees, to people who are publishing regularly in the field, to insert-demographic-characteristic-here,” which can often be used to exclude the unpaid independent. Lichterman: One of the situations that might epitomize this is what’s going on right now with SCOTUSblog. It’s received a lot of attention, and there was a story in The New York Times just this week. Obviously it varies from jurisdiction to jurisdiction, but can there be a more uniform way to determine who gets credentialed, or does it need to vary from situation to situation? Hermes: It would vary, and there are legitimate reasons why it could vary. For example, in certain circumstances, you’re dealing with very practical limitations. There’s only so much space in the court room to allow equipment, so you use a pool system or you issue a limited number of credentials to photographers. At press conferences, there are a limited number of seats. So decisions need to be made, and the real questions is how do you make those decisions and how do you do it in a way that both serves the public interest by giving them information while trying to be fair to the journalists who are seeking access. I voice those concerns as being sort of what we think of as the generally acceptable social concerns about credentialing. Obviously, there can be other kinds of motivations that can come into play here, but even if we just focus on sort of the concerns that people would generally accept as reasonable, there are still reasons why you could have different standards from place to place. What is somewhat troublesome is the use of essentially shorthand terms or determining factors which don’t necessarily relate to an individual’s ability to inform the public. The idea about looking at something like employment as a determining factor — especially when we know so much journalistic activity in the country is now happening at the freelance level. Those are the type of standards where it would be nice to see a broader approach, a shift that recognizes other forms of legitimate journalistic activity. Lichterman: Is there anything that can be done to change that? Is there anything to be done to change how we approach it? Hermes: There may be situations in which this can be addressed through regulatory means or legislative means. That’s difficult, though. A lot of this is about communication between the journalism community and credentialing organizations. What’s tricky is making sure that the folks who are representing the various segments of the journalism community are representing all of the interests of that community. The unpaid independent category, for example, is notable for lacking a unified voice in many circumstances, so who acts as their representative to go to the state police and say we’d like to find some accommodation so bloggers can have a voice here? That’s not always the case, but certainly it’s more challenging. Certainly, an organization like the National Press Photographers Association, which had a role in the development of this survey, has been doing a lot of work specifically on behalf of photographers, and so I think in the first instance what we’re probably going to see is segments of the journalism community working to advance their interests. And what’s interesting is whether or not there can be coordination between those different segments, or whether we’re going to continue to see photographers saying, “Well, photographers need consideration under these circumstances,” and bloggers and online news saying, “We need to be brought in to the discussion here.” Basically, continuing the type of complex environment we have now. 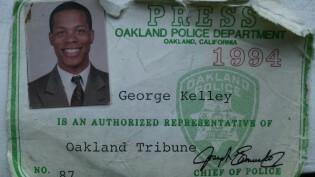 Photo of press credentials by Sean Bernard used under a Creative Commons license. POSTED June 5, 2014, 10:49 a.m.
Lichterman, Joseph. "Who gets press passes? 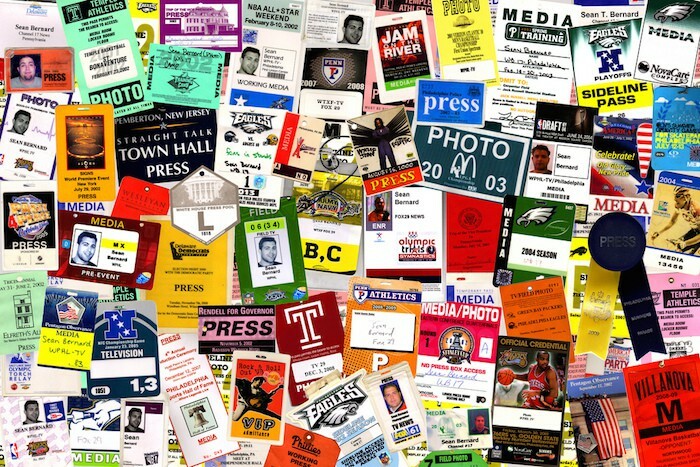 A new survey looks at how journalists are being credentialed (or not)." Nieman Journalism Lab. Nieman Foundation for Journalism at Harvard, 5 Jun. 2014. Web. 18 Apr. 2019. Lichterman, Joseph. "Who gets press passes? A new survey looks at how journalists are being credentialed (or not)." Nieman Journalism Lab. Last modified June 5, 2014. Accessed April 18, 2019. https://www.niemanlab.org/2014/06/who-gets-press-passes-a-new-survey-looks-at-how-journalists-are-being-credentialed-or-not/.